The Lane County Community College Downtown Campus was the subject of my fourth design studio at the University of Oregon. Download the program file here. A college campus on the main street (Willamette) of downtown Eugene, this 20k sqft building has a serious pedestrian presence and is designed to offer a multitude of service amenities to the city. 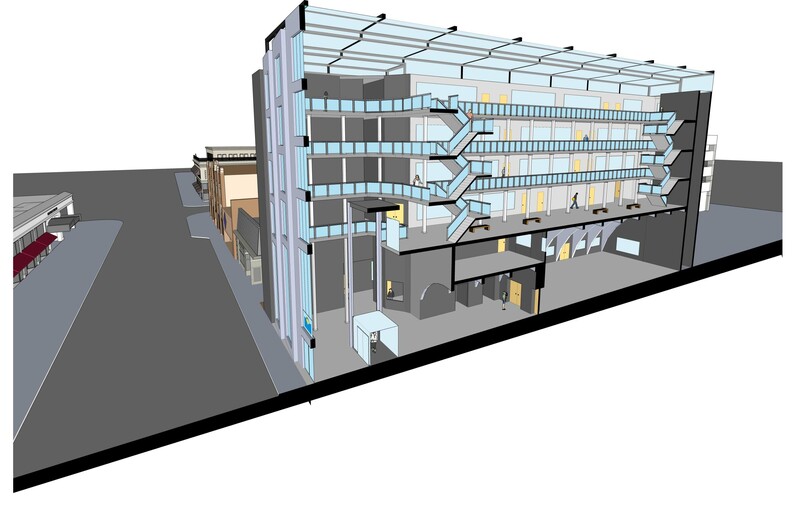 The 3D model for this building was created using Sketchup 7 Pro. For this project, I built a digital model of much of downtown Eugene which allowed detailed contextual information to be added to final presentation. The final presentation can be downloaded in PDF format below.